Home What Fueled Runkeeper’s Growth Engine? Growth Hacking, May be? 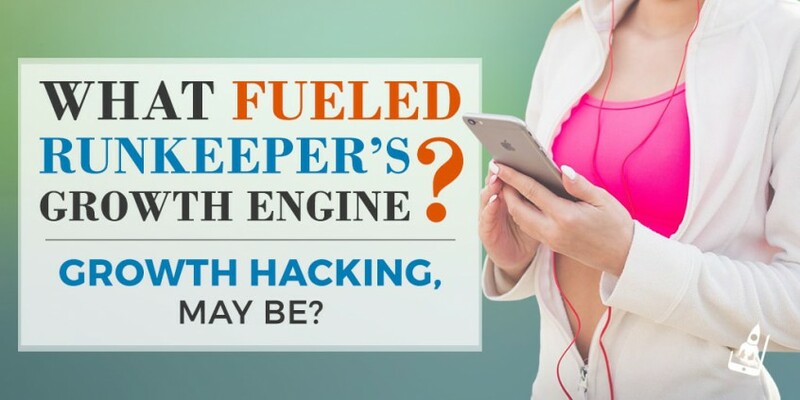 What Fueled Runkeeper’s Growth Engine? Growth Hacking, May be? 45 million active users, constant mentions in the best running app category and a superior app store ranking-there’s something about the Runkeeper app that makes it the first choice of users across the globe! Fitness based apps are a dime a dozen and represent a category that’s favored by over 46 million people today. According to a Flurry’s report, the health and fitness app category grew 87% faster than other category of apps. Even with a huge surge, not all fitness apps have been able to set a benchmark for themselves. A few like Runkeeper have however, broken the norm, despite representing a category that’s not short of options and is ripe with competition. The success of Runkeeper is a growth story that offers invaluable lessons to marketers, especially the ones in the mobile space. At AppVirality, we love decoding such growth stories, especially when the overall growth involved a few noteworthy growth hacks. In our quest of doing so, Runkeeper is our latest pit-stop! Here are a few lessons that we learned while exploring the app, up close. Maintaining a disciplined approach towards any form of exercise isn’t easy. It comes packed with a sense of self-doubt and anxiety and thus a favorable user-friendly experience will keep users moving forward without getting knocked off in between. The Runkeeper getting started guide is full of tips that enlists the entire process for users who want to use this app for documenting and monitoring their daily runs, cycling or hiking sprees or plain rowing jaunts. Another element of this app that keeps the users hooked on to it is their ability to personalize their experience, all of which is a part of their user-friendly features. Right from being able to choose a route, play music or pick a training schedule, the app has got it all covered for their users. Interestingly, Runkeeper has been able to provide all these elements to both first timers and more astute users. A big part of an app growth is dependent on being able to evolve with and for the app users. Given the fact that customers are an app’s high-value partner, it is significant to do evolve with them on a continuous basis. Unfortunately, most app marketers stop at introducing vanity features, thereby limiting the overall experience for their users. Since its launch in 2008, Runkeeper has actively upgraded its interface right from changes in its visual elements to addition and upgradation of features to suit its growing user base. Training regime and pre-planned routes. Superior engagement via real-time updates. Ability to integrate indoor workout and training schedules. Training and nutrition programs offered by the renowned coaches. The above features are only the tip of the iceberg. In reality, Runkeeper has been able to keep its user base engaged by constantly re-inventing and strategizing their core offering for their users across the globe. Jason Jacobs– Co-founder and CEO of Runkeeper says that its users are cut from a different cloth! They aren’t the ones that aim to be aspirational, much like world-class athletes. In contrast, Runkeeper users are down-to-earth, approachable and supportive-more on a day-to-day basis. It’s clear that the app has its focus on community, paving the way for more users to install the app every day. Be it an online or offline event or even social media, the Runkeeper app has been able to increase engagement and provide a sustained utility to its users. One of the most exciting community-driven event by Runkeeper was the Global 5k challenge, the results of which hint at the continuous usage of this app and active users during a specific period! An active community of users will boost the visibility of your app since they are bound to refer it to their friends and family. While the above-mentioned lessons can be applied to most apps today, one needs a few individual growth hacks to keep the momentum sustained. In the case of Runkeeper, we can witness not one but four growth hacks. Here’s a glimpse at the factors which changed the game for Runkeeper! With stiff competition in and around most mobile apps, it’s safe to say that only a few have been able to clock unprecedented growth. A large number of these success stories have been propelled by word-of-mouth- both organic or stimulated, via In-app referrals. According to a study published by American Marketing Association (AMA), referral marketing brings in more valuable and loyal customers. The data states that referred customers are over 25% more profitable, 18% less likely to churn and around 25% more loyal as compared to non-loyal customers! Most marketers who have been pursuing growth for their apps will agree that this is a huge margin as compared to other overtly expensive and time-sensitive marketing tactics. 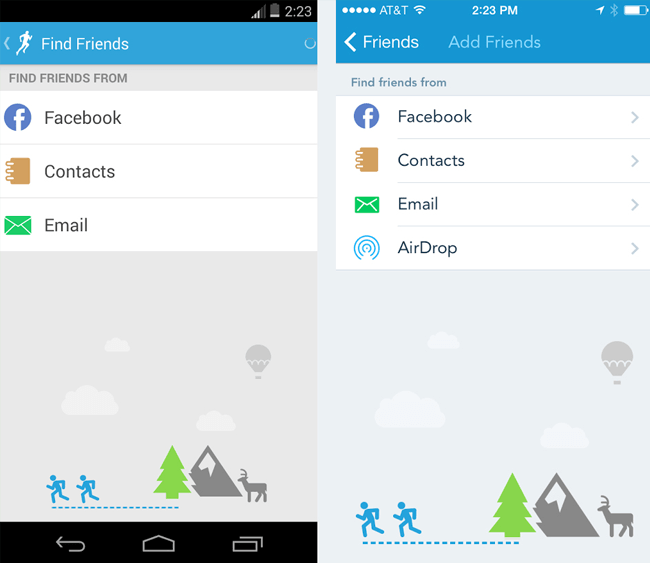 In the case of Runkeeper, the app had already garnered the much-needed limelight propelled by organic word-of-mouth. However, that’s not all. One of the core feature of the app allows and motivates its users to constantly share their milestones with others in their social circle. The app also allows users to invite their friends to comment and like and follow their journey, thereby inducing a social viral loop. Quite often it is seen that an enjoyable exercise routine quickly changes into a task for many. This is the biggest hurdle for app marketers that fall into the fitness category. 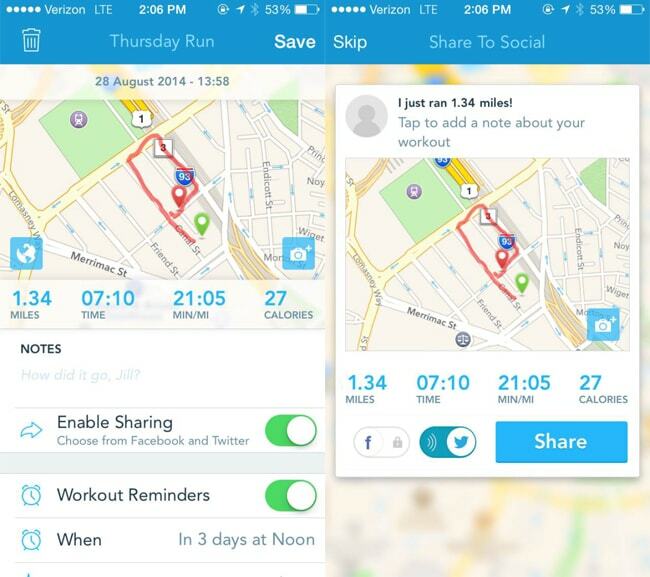 The Runkeeper app, however, leveraged push notification as a growth hack and combined it with historical user data. This way they were able to send push notifications to users, reminding them of an impending run, thereby keeping the motivational graph high. We’ve spoken about the discipline associated with running a bit earlier. For an app like Runkeeper, sustained running is the most significant activity on the app followed by app upgrades, leading to revenue for the app. Given that most runners do not follow it till the end, Runkeeper banked on email marketing as a growth hack to run a specific “challenge” campaign around New Year. The idea was to influx a challenge around the resolution time, making users set goals and indulge in in-app purchase through discount codes sent via email, once they completed the challenge. They followed a rigorous segmentation process which lead to a 100% open rate and a plethora of users coming back to the app. A good run will become much sweeter if it is followed by a reward on goal completion. 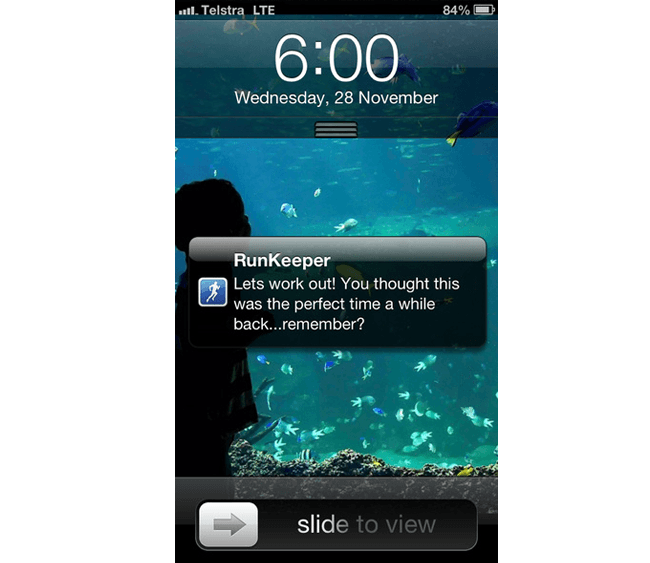 Runkeeper understands this psyche of users and therefore often rewards its users instantly when they hit their personal goal. It also offers personalized incentive to users based on their running schedules. For example a glow vest to users who run at night. This has been possible by a successful integration with Shopify. Given its success Runkeeper has been acquired by ASICS and a lot of it can be attributed to conscious growth hacking and a superior product proposition. What makes your app stand out from the crowd? What growth hacks have worked in your favor? Do let us know in the comments below. There are many apps in market like the one you said. I have tried almost all the running apps. Running apps help me stay focused and keeps me motivated. I have been looking for an app that will help me with that and I found SonicSole’s running app. It’s pretty cool and free!